Clay Vessels — David Heustess, Artist & Co. I have an obsession with Greek Mythology. And as a clay artist, I am inclined to look at ancient Grecian Pottery forms. Prior to a visit to see the collection at the Getty Museum, the ewers, amphorae and other Grecian vessels were a group of small pictures in an art history text book. But when I stood in front of these classic examples I was in awe of their scale. They were colossal compared to my experience making coffee mugs and bowls. 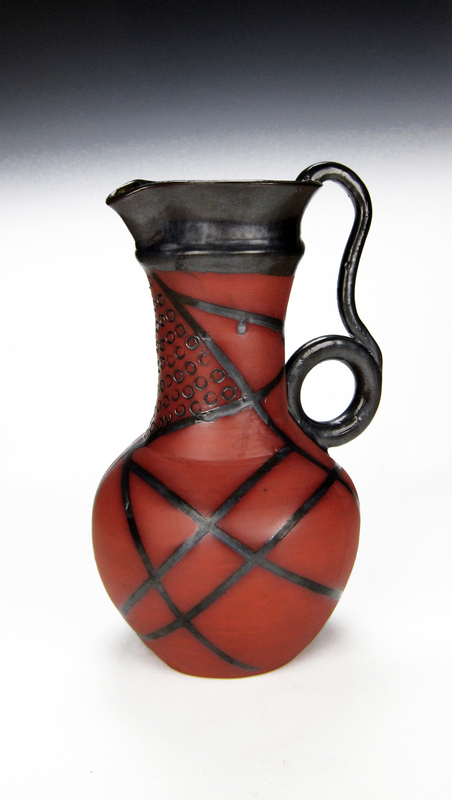 I puzzled over how potters could have made such large clay vessels centuries ago. Instead of recreating ancient technologies, I use the skills and the technology available today to create a series of amphorae and vessels. 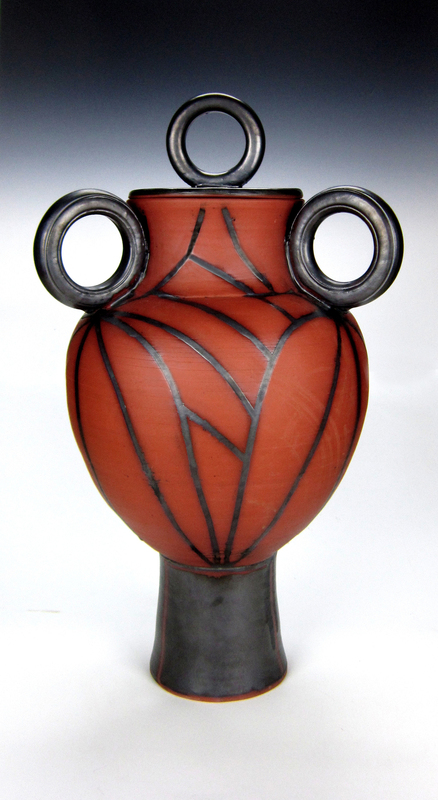 Using a red clay, I throw a base for each form on the potter’s wheel. From there I begin a process of attaching clay coils and throwing them to build and expand these large scale vessels. 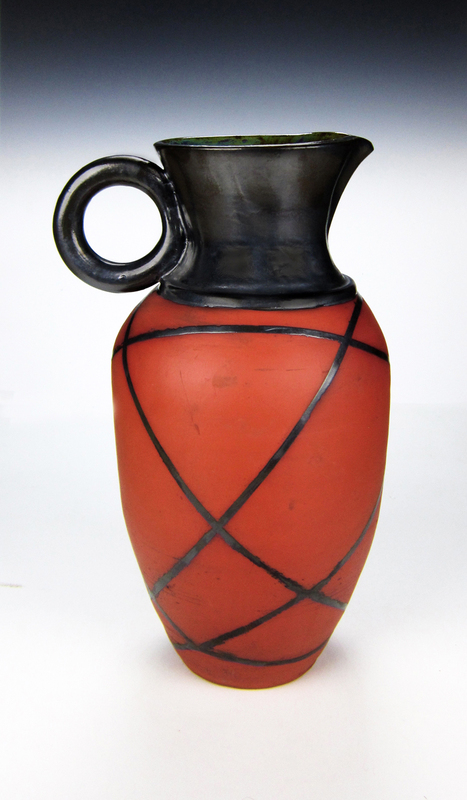 The rules for an amphora are quite basic: 1) they have two handles and 2) they have a narrow cylindrical neck. As I build them I look for forms that have a strong presence. 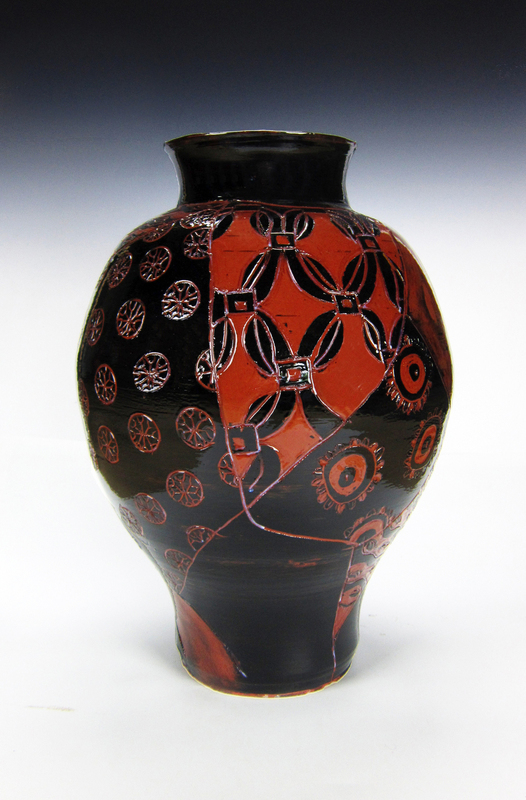 For the surfaces, I use a black glaze or a colored slip and clear glaze to create patterns and designs and the clay vessels are fired in an electric kiln. Photos by V. Pierce All images are copyrighted David Heustess 2016, and may not be used without permission.